Here is AccuWeather's forecast of snowfalls. In addition, there will be very high winds which will cause severe drifting of the snow. This is a forecast of wind gusts in knots (1 knot = 1.15 mph or 50 knots = 58 mph). The orange areas are forecast wind gusts above 50 mph. This forecast is for noon on Tuesday, February 2. The highest winds will extend into western Iowa later in the day. This is a dangerous storm -- you do not want to get caught traveling in it. 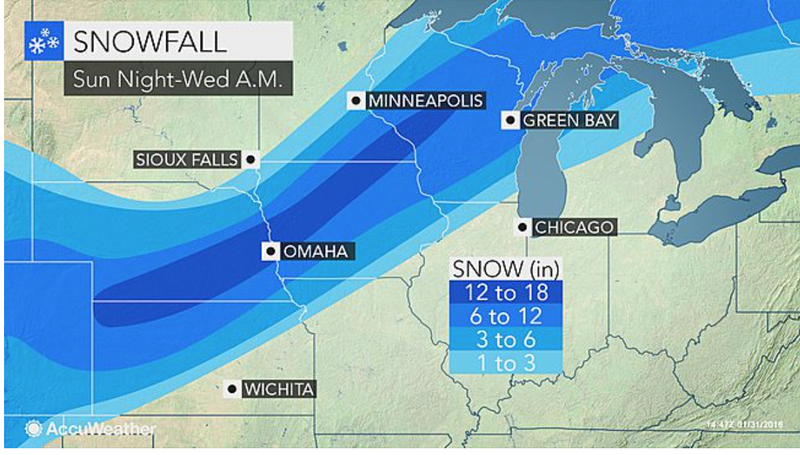 Please prepare for the storm before the snow begins falling. 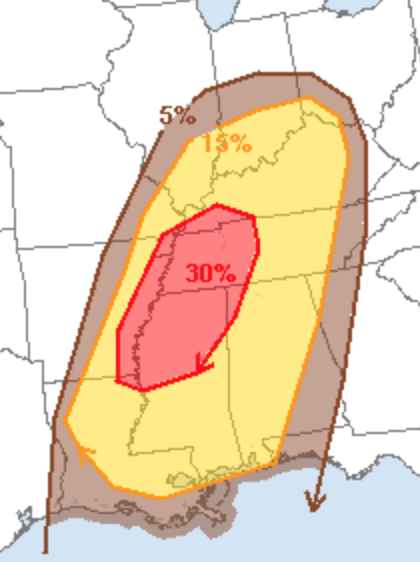 Below is a map of the threat for tornadoes and severe thunderstorms from sunrise Tuesday to sunrise Wednesday. The yellow, 15%, is the significant threshold. The red area is especially at risk. I urge you to monitor the weather Tuesday if you live in these areas. 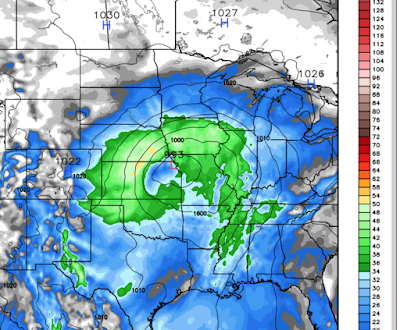 Reminder: This blog no longer covers day-to-day weather nor do we do live storm blogging. I will present another update tomorrow and Tuesday as the storm develops.